Today, Dark Horse is proud to announce The Legend of Zelda™: Breath of the Wild—Creating a Champion art book. 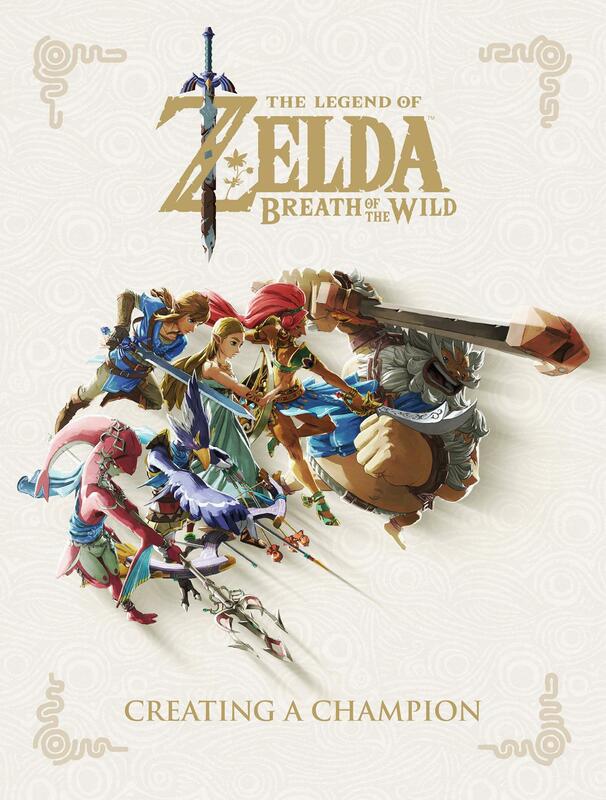 Creating a Champion is the latest addition to Dark Horse and Nintendo’s bestselling publishing line and is preceded by The Legend of Zelda: Hyrule Historia, The Legend of Zelda: Art & Artifacts, The Legend of Zelda Encyclopedia, The Art of Splatoon, and The Art of Fire Emblem: Awakening. This oversized hardcover is the ultimate companion to the award-winning video game The Legend of Zelda™: Breath of the Wild and includes material from both of its DLC packs. This book features nearly 50 pages of sketches and official illustrations from Takumi Wada, 296 pages of design artwork and commentary about the making of the game from the creators, a 55-page historical section that divulges the history of Hyrule as it is known in-game, and interviews with key members of the development team— Hidemaro Fujibayashi, Satoru Takizawa, Takumi Wada, and Eiji Aonuma. Witness the making of a champion! The breathtaking cover is by Takumi Wada. The Legend of Zelda: Breath of the Wild—Creating a Champion goes on sale November 20, 2018, and is available for preorder on Amazon and TFAW, and at your local comic shop. This 424-page tome retails for $39.99.